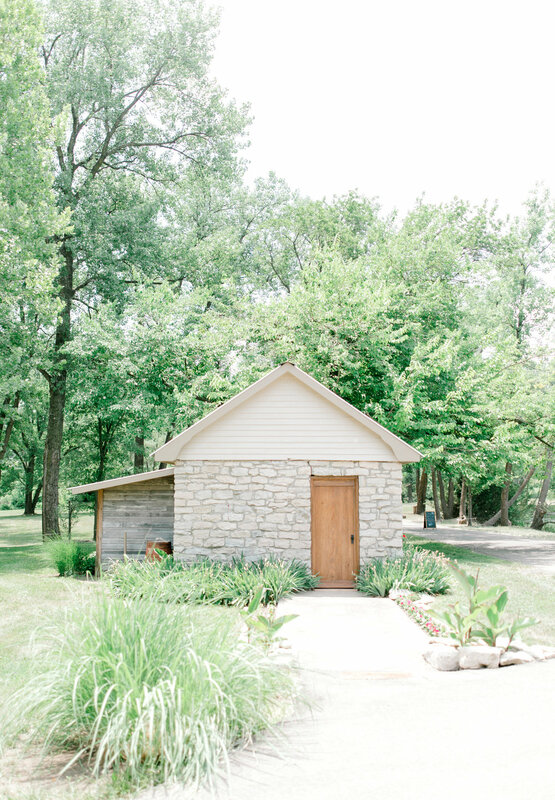 June 9th 2018 Ethan and Peyton tied the knot at a cute rock quarry tucked away in Blackwater, Missouri called Wildcliff weddings and events. The venue was a dream! From a quarry lake to a cave where you can get ready in. There were so many hidden gems with endless of photo opportunities. 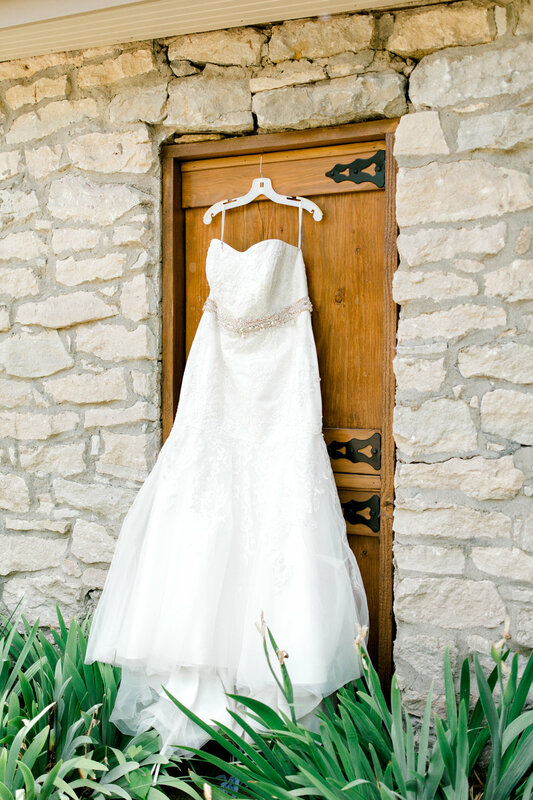 The day started with Peyton and her bridesmaids getting ready inside the bridal cottage at Wildcliff. They shared tons of laughs with mimosas and laughed about Peyton's all 4 dogs being in the wedding. Peyton and her girls were having a blast ! 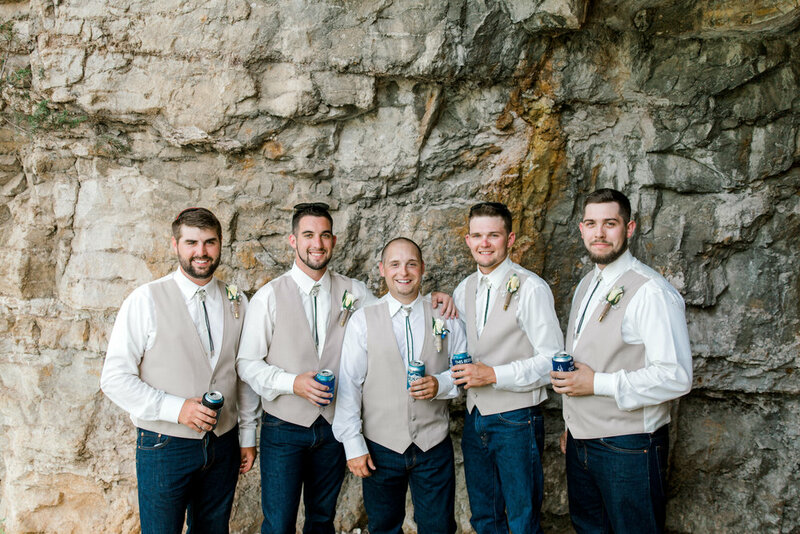 Later on the groomsmen arrived where they hopped on this boat that you pull in the water that leads you into this acquaint cave. We all took the boat over and climbed this ladder that lead to this cave are, talk about a man cave! 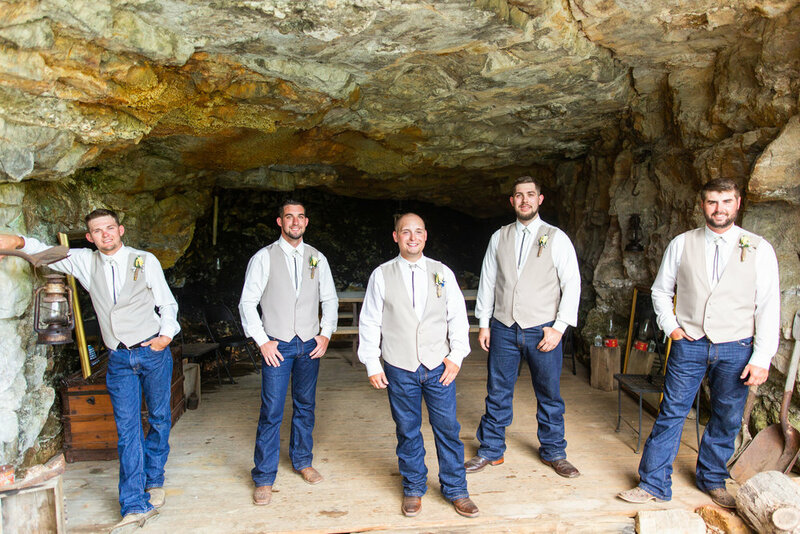 In this cave groomsmen hang out before the wedding ceremony. Trust me us photographers were amazed by this cave, it did not feel like the midwest! 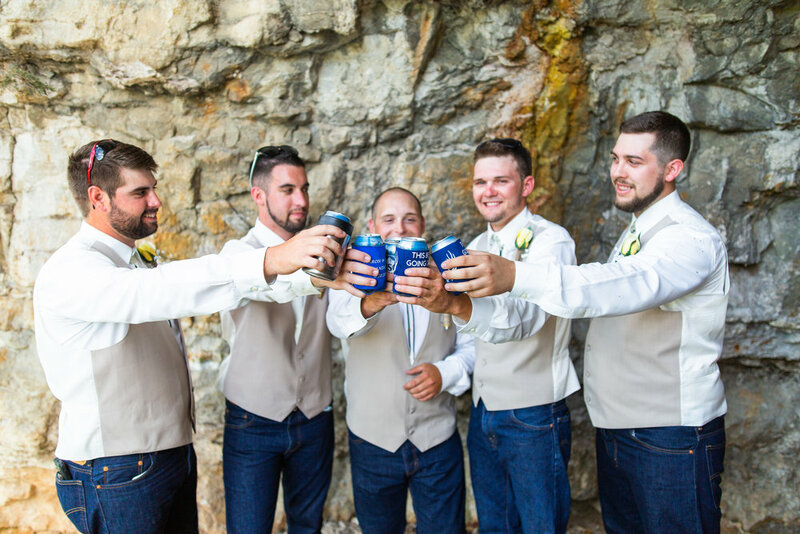 We snapped a few pictures in the cave of the groom and groomsmen while they shared cheers with beers. 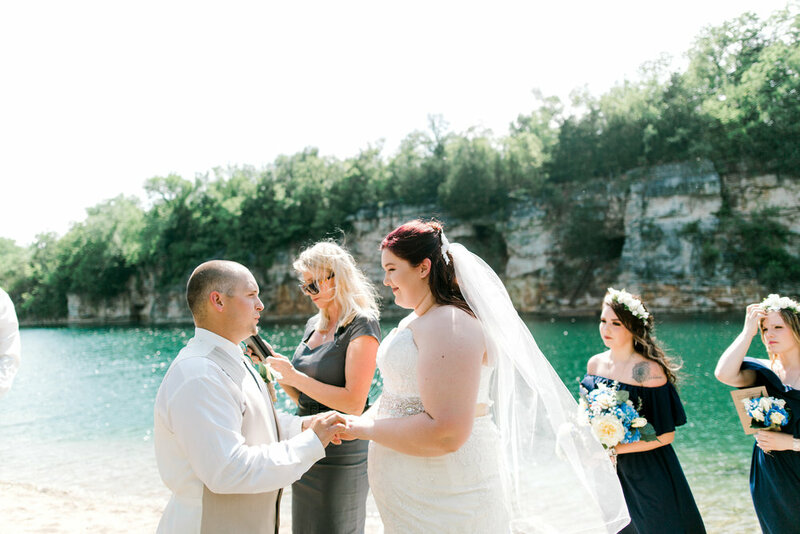 The Ceremony started at 3:00pm right on the main lawn facing the lake and cave talk about a beautiful scene! 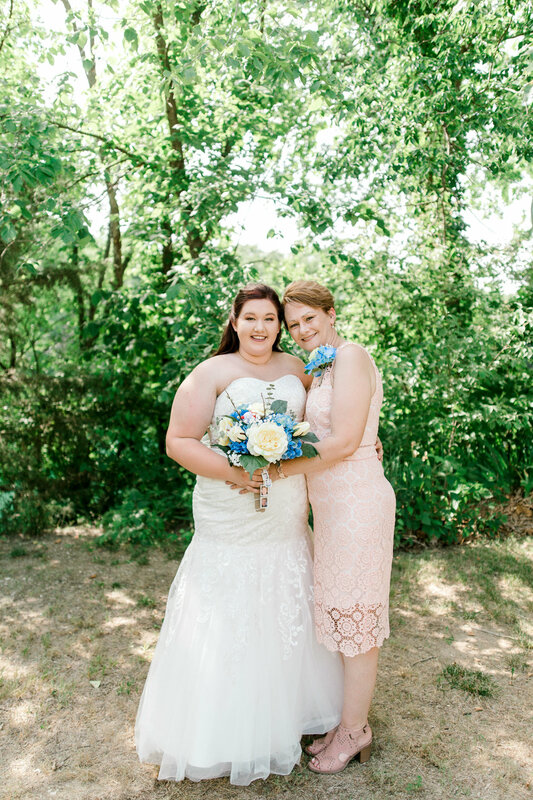 The sun was shinning and the weather was ideal for a June wedding! During the ceremony there was not a dry eye in sight. Peyton and Ethan read their vows which later went into a "planting a tree ceremony". Such a cool idea! Following the reception we gathered the wedding party for pictures and bridesmaids and groomsmen. The photo opportunities at Wildcliff can go on for days I could have spent all day photographing there ! After the pictures lead into the reception which was outside under beautiful string lights. A perfect summer wedding reception ! Every wedding member went around and spoke about the bride and groom which was a unique and cool idea! 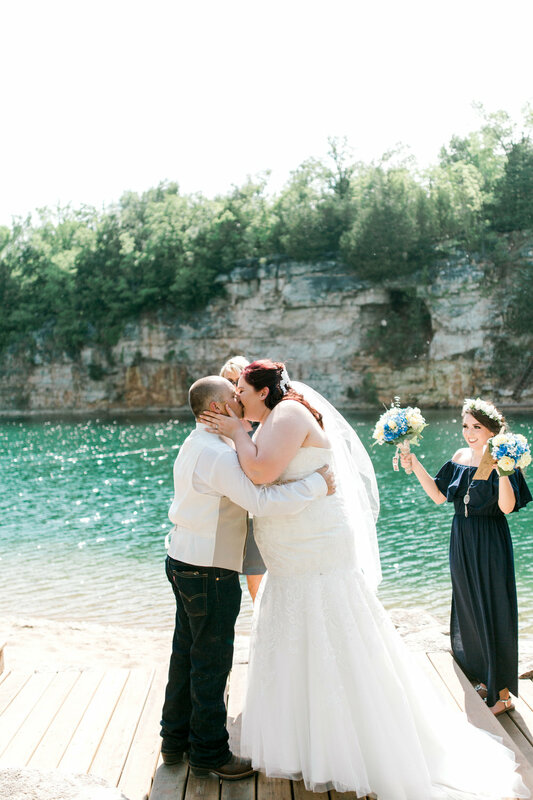 Each wedding party member shared the memories between the bride and groom. Later that night everyone danced under the string lights and danced the night away to a variety of music from country to hip hop! Congrats to Peyton and Ethan! !